New Video for the album! Following the release of our new album "Adrift" we have put together a video for "Train of Thought"! It is mostly filmed at Bristol Temple-Meads and Leeds station. Also there is a pigeon. 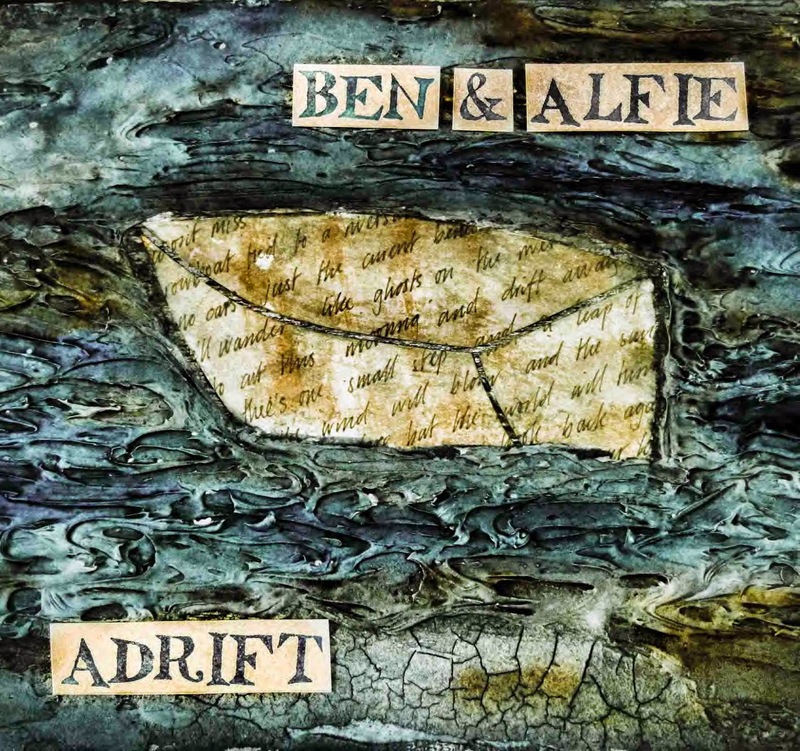 You can listen or download this track and the rest of the album on the Ben & Alfie Bandcamp. If you want a physical CD then visit the Paddywack Records store to order one online. If you want to know more about the making of the video or the album check out the Sound Tailor site. Its here, its there, it is everywhere! Or at least that is the idea... Our new album "No Measure" is finally out and available featuring 10 of our original songs. The album has been a while coming but hopefully you will consider it worth the wait. It was recorded over the first half of 2012, Mixed with help from some fine engineers and producers, particularly Rob Harbron, and finally mastered at Loud Mastering in Taunton in October. So it has been a long term project but incredibly useful to our artistic and technical development in a way which just couldn't happen in a week in a studio. We have even already been sent some lovely feedback about the album which is a great thing to have since it lets us know, as much as it does you, that other people are enjoying it! WOW !! - Just listened to "No Measure" - WOW again! Fantastic stuff guys - Congratulations. I'm so impressed. These songs are all so good! Beautifully sung and played. It's been a long time since I enjoyed song after song on a CD - it just kept getting better! The album is fantastic! Congratulations! So happy to have a copy, it has made my month! Just got your new album 'No Measure'. Listened to it immediately. Beautiful music, beautiful lyrics. Thank you. What an amazing sound! Congratulations on your brilliant album. Fantastic really well done and a lovely production. We are also happy to say that it is now available as a download from Bandcamp so if you would prefer a high quality (or low quality) download to a CD then you can get a copy of No Measure or any of the individual tracks as easily as clicking your mouse (though you may have to click your mouse more than once). You can get an mp3, m4a, wav, aif etc... or almost any other form of audio file from Bandcamp including CD quality files if you are as picky about your sound as we are! Finally thanks for visiting and if you enjoy the album - Please tell all your friends, enemies and indifferent acquaintances about it!